Thickness is very critical to our customers, especially in selective, family and series parts. To ensure our product will be properly installed in our customers applications we have partnered with a variety of different gauging companies to develop a method of effectively measuring for thickness. 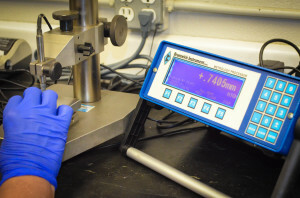 This gauging technology allows us to measure thickness accurately to 0.00001 inches (0.0005 mm). 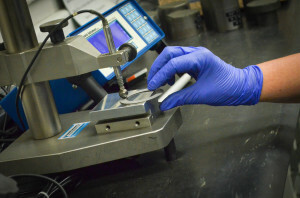 At Northern Industrial Manufacturing, we leverage layered thickness checks throughout the entire manufacturing process. This attention to detail has won us awards like the GM Global Supplier Excellence Award, and ZF Supplier of the year.